Some country was meant to be seen from a saddle. Take a load off and swing into a saddle in BunGeo, because sometimes four feet is better than two. There are not many places you can take your horse for a beach ride and BunGeo is home to one of them. Before 9am, Forrest Beach, south of Peppermint Grove Beach, is the place to go with a lovely long stretch of beach for galloping and pristine water if he or she is up for a dip. This is a favourite place for trainers in the area too. Your horse will love you forever! 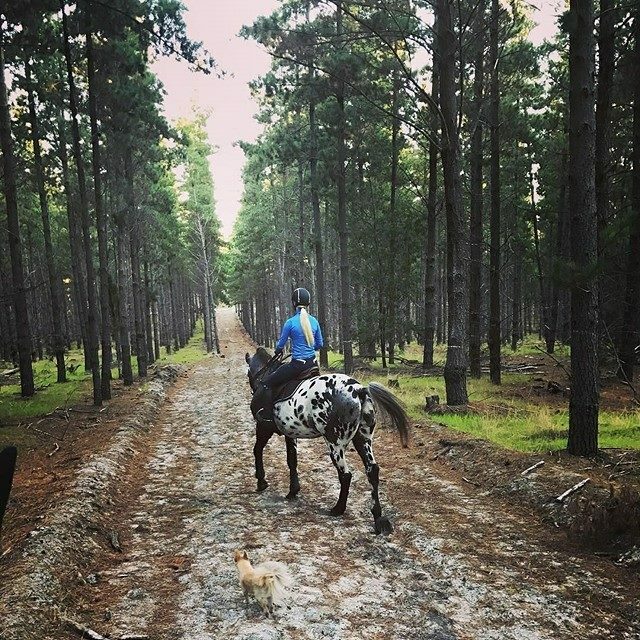 Located between Collie and Boyup Brook, Beryl’s Riding School is a place where you can ride horses in the beautiful WA bush, enjoy farm style accommodation and hospitality with delicious home-cooked meals. Horse riding lessons are conducted in the fully equipped arena by Level 1 accredited instructor, Beryl Eatts. Lovely horses, incredible scenery, and restorative high country mountain air. Harris River Equestrian is situated on the picturesque Harris River Estate Winery near Collie. They are a boutique quality Agistment Centre specialising in Equine Assisted Therapies and Coaching. Tours are on offer too. Our favourite is the half-day tour with a long table lunch. Stirling Estate Equestrian Centre is a centre for Excellence in Horse and Rider education, Equine Bodywork Therapies, Hoof Care and Rehabilitation. The riding school caters for riders of all ages and levels, specialising in beginners. Come and ride one of their beautiful horses or ponies and experience riding from the heart. Riding lessons are based on classical dressage techniques, the focus of the lesson is on enjoyment, reading and communicating with the horse. Come and enjoy lessons in flatwork (dressage), games, agility, work on the lunge (leadline) and jumping as well as cross country for those who are more skilled. Plus school holiday day camps.